Round 9, the final BEMSEE round of 2013 was held at Brand Hatch. The weekend was the now familiar 4 race configuration. This weekend was similar to the first round only the faces were now familiar and the track was no longer unknown. Saturday morning was dry and the qualifying began. I managed a 56 second lap which was my goal for the end of the weekend. The issue I had was everyone had improved to the same degree. My 56 second lap placed me 28th as 10th rookie on the grid. Race 1 was completed without issue and I finished in 26th as the 8th rookie. My fastest time was 56.633. I started race 2 in 26th and finished in 27th, 10th rookie. My fastest time was 56.609. Sunday was again dry and I sat out the early warm up session. 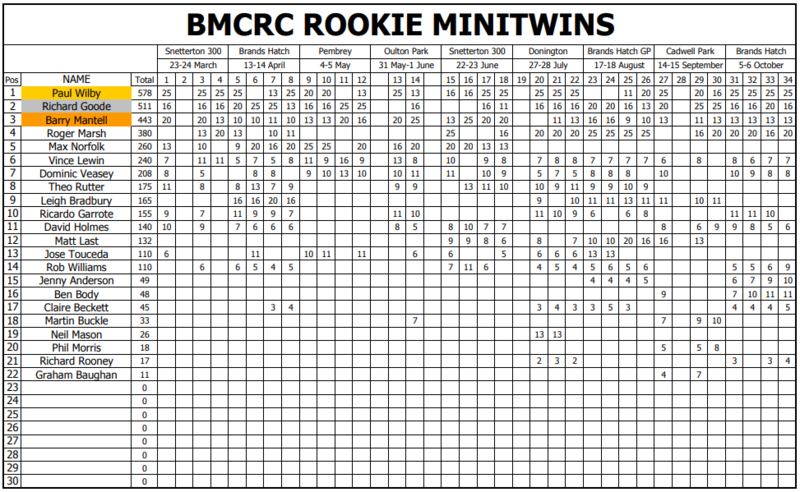 I started the first race in 27th and finished in 28th as the 9th rookie. My fastest lap was 55.820. 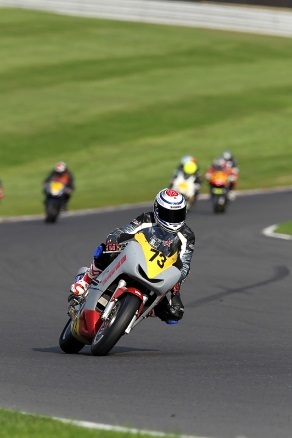 I started Race 4 in 28th and finished in 31st as the 9th rookie with a fastest lap of 57.059. The By the end of this weekend I had completed a total of 29 races with 27 top ten rookie finishes and improved my laptime by nearly 7 seconds.